Ok, I am going to start off by saying that by me writing this, that I feel blessed to be able to stay at home. Do NOT misconstrue this. I just want to give you an inside look. 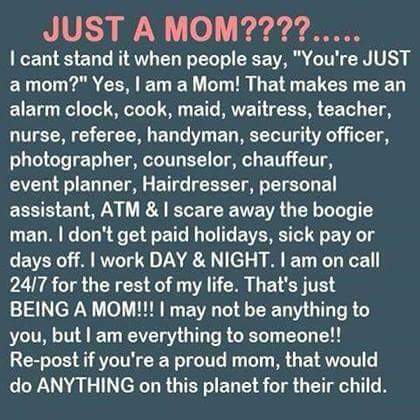 I have been a stay at home mom since my Mackenzie was born which was in 08. So for over 6 yrs. Minus when my husband was laid off and I went to bartend to make ends meet. Which getting out of the house was wonderful. I have always just wanted to be a Mom and stay home, that was my life long dream. Imagine Ron’s surprise when I tried to quit. Saying I need a break. This sounds harsh right? I got my dream job, something that I was not certain we would ever be able to do because living on one income is rough. But I always thought it would be easy. HA! I was so wrong. There is never any off time. None. I don’t get to grab a nice lunch like I did when I worked. Or talk to adults really ever, because not many moms stay home anymore. Now my kids are so used to me doing everything that when Ron is home, they will literally go out of the way to ask me to get them something. I could be in the shower. It does not matter because MOM does it all. 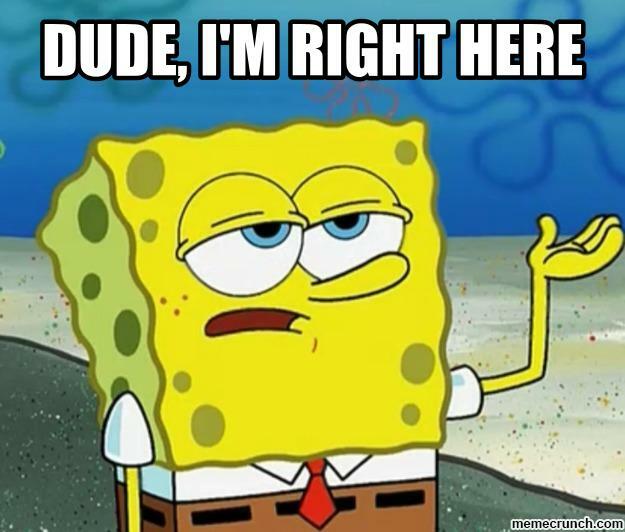 Even Ron will be like I am right here why didn’t you ask me? Some days I pray for bed time, because I spent the day arguing with a 3 yr old. But then you put them to bed and the peace and quiet is so wonderful that before you know it, boom 1 am reading on the alarm clock. Then the same vicious cycle continues. There are days where I get everything done and I think I finally tackled this and then others where if I shower its a win. Or get them dressed hahaha. So on weekends I want a sitter and I want out of the house. But my husband has rarely gotten to see them and wants the opposite. There are also days where my heart is so full and I am so happy that I could burst. That I want to share every cute thing they do with the entire world. Like no other kid is doing the exact same thing. 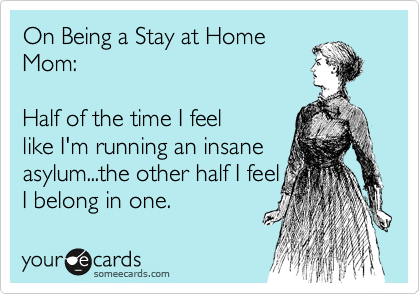 I guess you could say being a Stay At Home Mom, is kind of like being Bipolar. Your emotions and your kids are all over the place. You have your ups and downs. But at the end of the day there is nothing more that you would rather be doing!